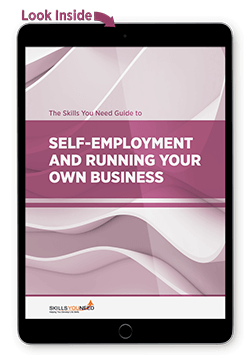 Learn about the essential skills you need to run your own business or set up in self-employment. If you are thinking of setting up your own business, then this book is for you! It will also be helpful to those who have already set up their business, but feel that they need a little more guidance to move forwards. It is a sad fact that many businesses fail in their first few years. There are a number of reasons for this. Some are simply bad luck: the development of an economic downturn, for example. Others, however, may be more avoidable through better planning and management, or perhaps by understanding more about the risks that you are taking. 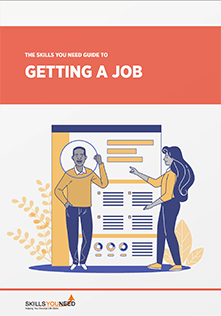 The Skills You Need Guide to Self-Employment and Running Your Own Business guides you through the process of self-employment. It starts with explanations of the terms involved, and moves through the skills that you will need, before explaining to how to set up and run your business effectively. With chapters on freelancing and franchising as well as entrepreneurship, this book is for anyone who is thinking of self-employment as a career move. Published by: Skills You Need Limited. April 2019. This practical guide to business analysis is designed to give you the skills to help you understand your business, your market and your competitors. It will help you understand why business analysis is important for strategy—and then enable you to use analytical tools effectively. Forget everything you know (or have found out) about internet marketing tactics. We’re determined to be up front and honest with you. We’re not going to be calling the Mercedes Benz dealer or booking a six week holiday to the Seychelles because you bought one of our eBooks. All profits go back into SkillsYouNeed enabling us to create more quality content that you, and everybody else, will have free access to. Simple! If you decide to buy one of our eBooks then you have done so because you have found our online content useful and would like to have a more convenient version of it. If you haven’t found our content useful and can see no advantage of buying an eBook then don’t!